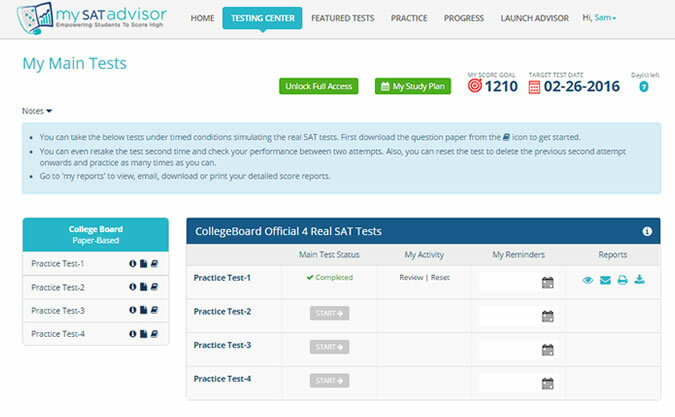 Effective and Easy to Use Online SAT & ACT Practice & Analytics Platform Using Official and Real Tests | Saves Prep Time & Money. Every Second counts. Improve your speed! Learn from mistakes. Improve your accuracy! Is time your most pressing concern? Are you repeating the same mistakes again? 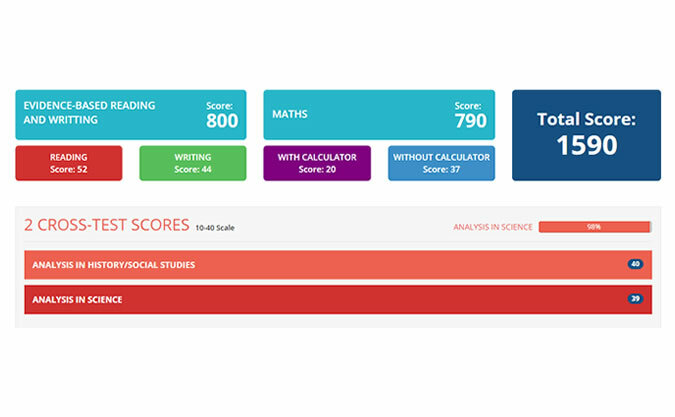 Are you frustrated that score is not improving? Learn from mistakes. Use your notes in review journal to improve. Examine your weak areas. Know your focus area from the entire tests. Save time. Build and practice guess,bookmarked and incorrect questions. Gain confidence. Perform to your full potential. Improve your score. SAT AND ACT TEST PREPARATION ORGANIZED! Practice, Analyze and Improve ! Test-Prep Made Simple and Smart! Saves Prep Time & Money! Can help to quickly identify performance issues related to skill-sets and subject areas. 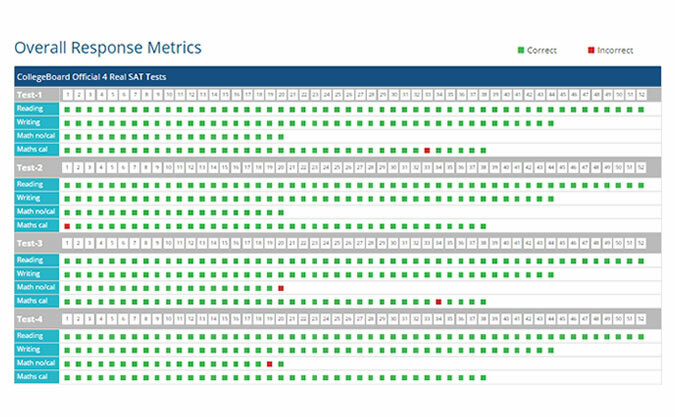 Generates actionable reports before time and money spent. Practice with confidence to achieve success. 1. 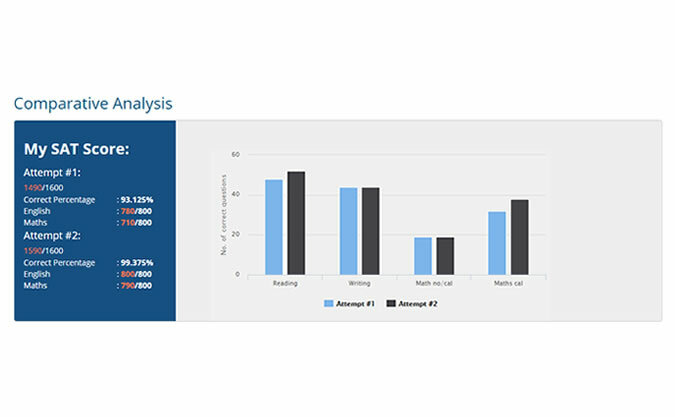 Sample Detailed Scoring report with unique pacing Analysis. 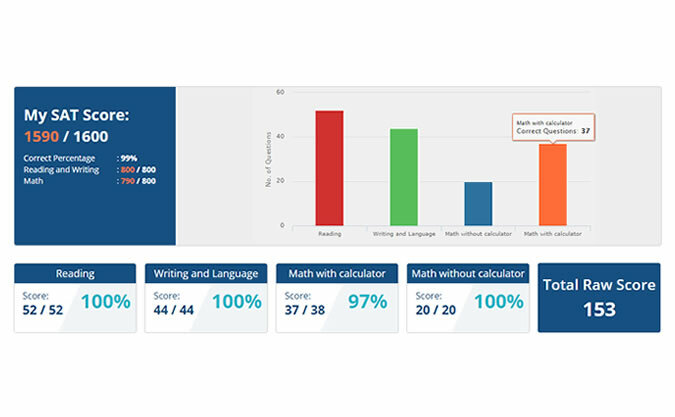 Helps you to track student progress and prepare them for success through practicing on official SAT and real ACT tests. Helps you to unlock students test taking skills through engaging real world testing and Analysis reports. An ultimate platform for SAT and ACT score improvement. Let's you practice and analyze on Official SAT and Real ACT Tests. Just buy the official books for ACT or use the free links for SAT and utilize all the features to practice, analyze and improve your scores. Special offers to help you admit into the college of your dreams.